Since it opened in the fall of 2012, I've heard plenty about the massive sandwiches and succulent barbecued meats at Sloppy Hoggs Roed Hus, the newest restaurant from the folks at Absolutely Edibles. When a Foodie Meetup was organized, I knew I had to tag alone to see whether Sloppy Hoggs was filling the gaping barbecue joint void in Edmonton. As soon as the appetizers emerged, I knew I was going to need to pace myself to make it out of the restaurant without exploding. The sliders allowed to me to sample the smoked chicken, brisket, and pulled pork, which were all good; however, heating the buns would have made this dish even better. While the sliders fell slightly short, the poutine (aka Give Me The Hogg Slopp) was out of this world. On top of the fries, cheddar cheese, and gravy, was pulled pork, crumbled bacon, and an amazing waffle sauce. It was an incredible experience to taste. The ribs arrived with three choices of BBQ sauce (mustard, berry, and the more traditional Sloppy Hogg) as well as a finger bowl which I made great use of. The ribs were beautifully charred and robustly seasoned. Though I found them somewhat less tender than I'd hoped for, they were still a flavourful, messy, lip-smacking delight to eat. As if the meal wasn't decadent enough, I finished with a slice of chocolate pecan pie. 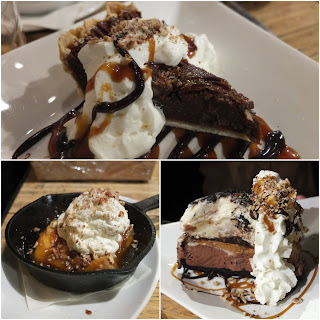 Though I believed I was stuffed before dessert, somehow the rich, gooey concoction of pecans and fudge opened up a trap door in my stomach and I finished the whole thing. The service was near-flawless. Though large parties such as the one I was with can sometimes by overwhelming, the staff made handling us look easy. 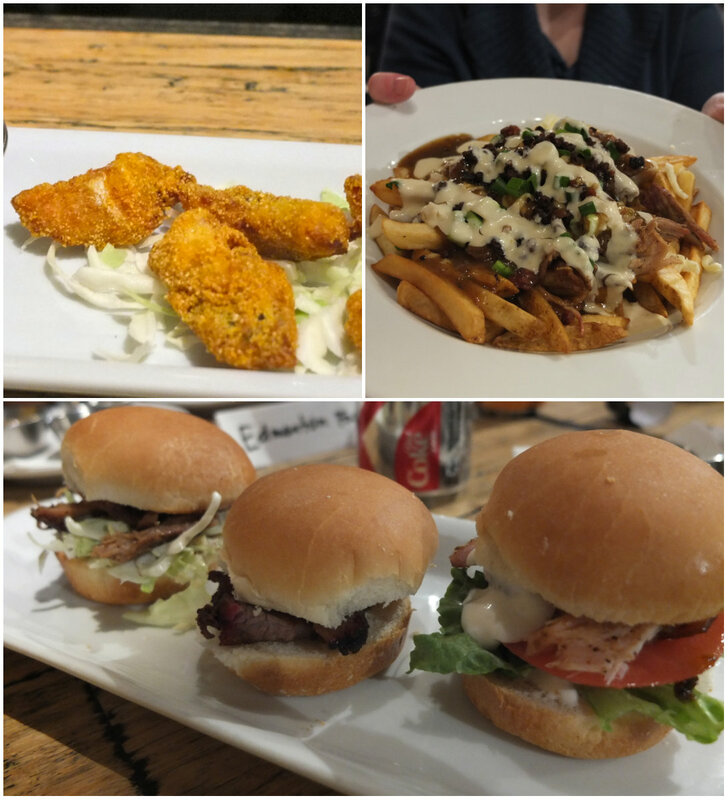 Everything I tried at Sloppy Hoggs was delicious, and the poutine was positively extraordinary. 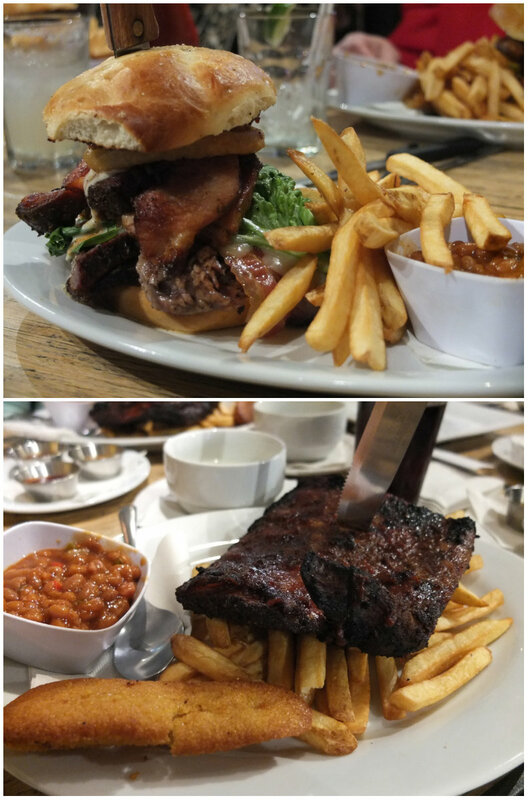 The massive portions allowed me to enjoy the food for a few days after my visit! If your inner-carnivore is looking for some attention, a visit to Sloppy Hoggs Roed Hus should leave it satisfied. I'm a new Edmonton resident getting acquainted with the city plate by plate.